Van der Valk Hotels has again been awarded prizes. The Customer Experience Excellence Champions report from KPMG assesses various Dutch companies on six pillars. Van der Valk Hotels has placed itself in the Top 100 on a beautiful 5th place. 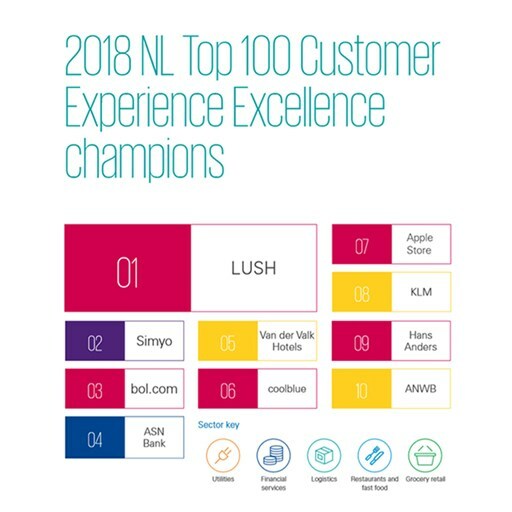 TOP 100 Customer Experience Excellence Champions has been compiled on the basis of KPMG's research report. Van der Valk Hotels has achieved a nice 5th place in this. As Valk Exclusief we continue to improve and adapt our service where desired. This result is a sign we're doing the right thing and gives us the confirmation that we as Valk Exclusief are on the right track. 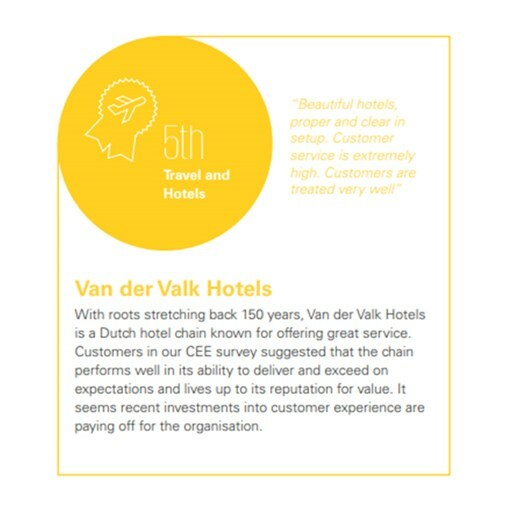 With rooth stretching back 150 years, Van der Valk Hotels is a Dutch hotel chain known for offering great service. Customers in the CEE survey suggested that the chain performs well in its ability to deliver and exceed on expectatins and lives up to its reputation for value.